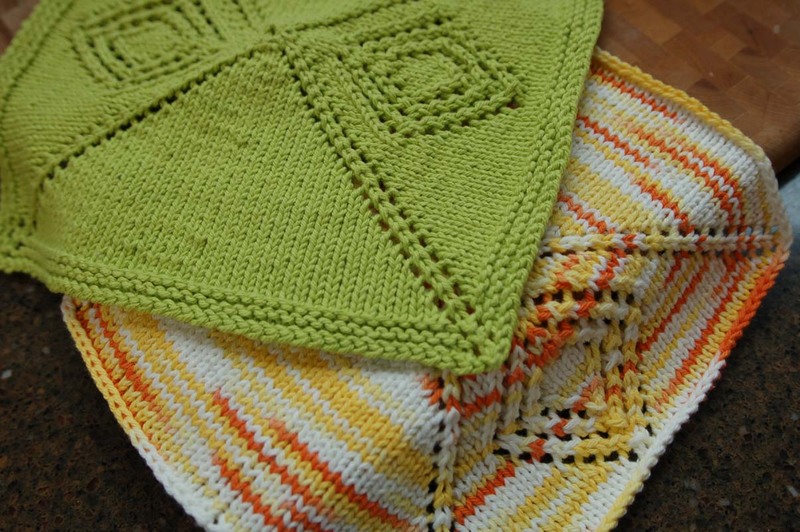 I’ve recently become a dishcloth convert. I got sick of the stinky sponges that I was constantly throwing out and replacing (I absolutely despise that smell on my hands when I pick up a sponge I didn’t realize was yucky already!) It is so much easier to squeeze out the water from a dishcloth and when hung over the faucet it dries out nicely wth no stink! I used magic loop, half the stitches on one needle, half on the second. Mark the beginning of round and center of round so that when there are too many stitches on the needle to continue magic loop it is easy to see where the repeat starts/ends. 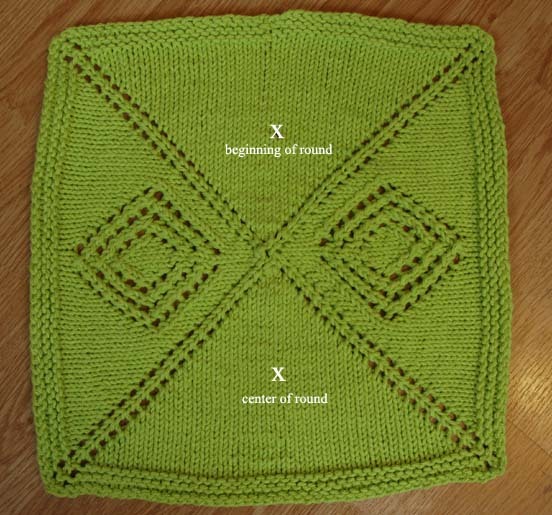 On the odd rounds 9 – 35, the written instructions are for one half of the washcloth, the entire line will be repeated once after the center of round marker. November 17, 2010. Tags: dishcloth, free, lace, mitered, washcloth. Knitting, patterns. Thanks for sharing. Knit dishcloths are the best. My husband, yes he does dishes, always grabs a knit one over a store bought. After my Christmas knitting is done this will be my next project. November 27, 2010 at 11:40 pm. Permalink. One more comment. I’ve never been too successful with magic loop, do you think this pattern could be done with 2 circs? November 27, 2010 at 11:44 pm. Permalink. Absolutely. The stitches are arranged the same way with both methods, so 2 circs would work. I think DPNs would be perfectly fine as well, but I never use them so I don’t have any tips on how to distribute the stitches. November 28, 2010 at 2:21 pm. Permalink. 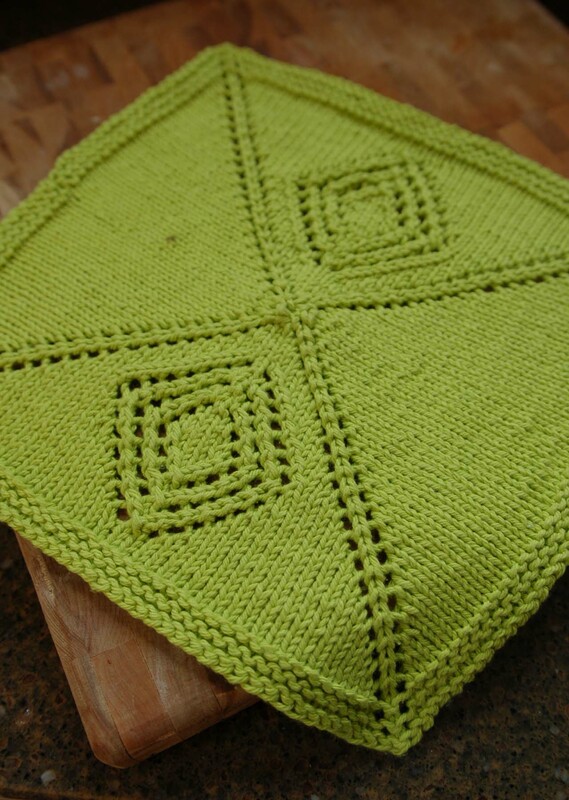 I am a dishcloth knitting fan, too. These can also get that yukky smell, though. To avoid the sour stench, you need to rinse in cold water before wringing out and hanging up. This works for sponges, washcloths and other stinky wet things. December 14, 2010 at 4:15 am. Permalink.